This assortment contains all the makings for a delicious holiday get-together. Start the party off with a 1 lb. brick of our Aged Cheddar Cheese, an 8 oz. jar of our popular Honey Mustard and 8 oz. sticks of our All Beef Salami and Summer Sausage. For the main course, we include a 6 - 7 lb. 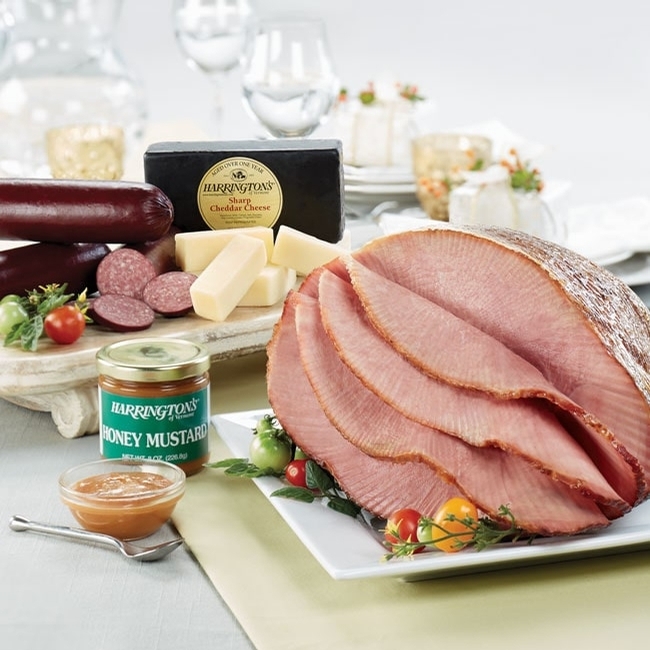 Original Harrington's Party Ham, sure to generate rave reviews from both the host and the guests.